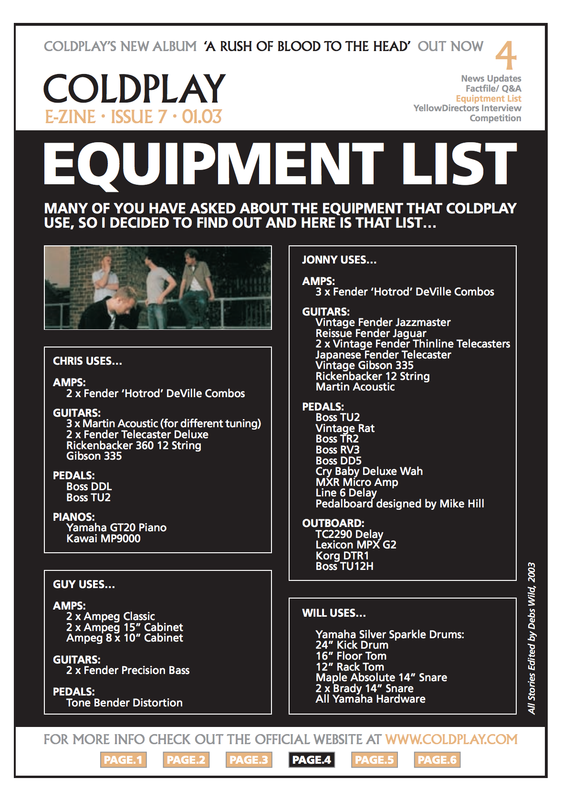 In 2003, Coldplay published a list of the equipment their members used. Jonny's list included the DTR-1 tuner. > Green Day came to us via producer Rob Cavallo who we had worked with in the past. Done a lot of work with these guys, but yet to meet. These pics are from a few years ago. 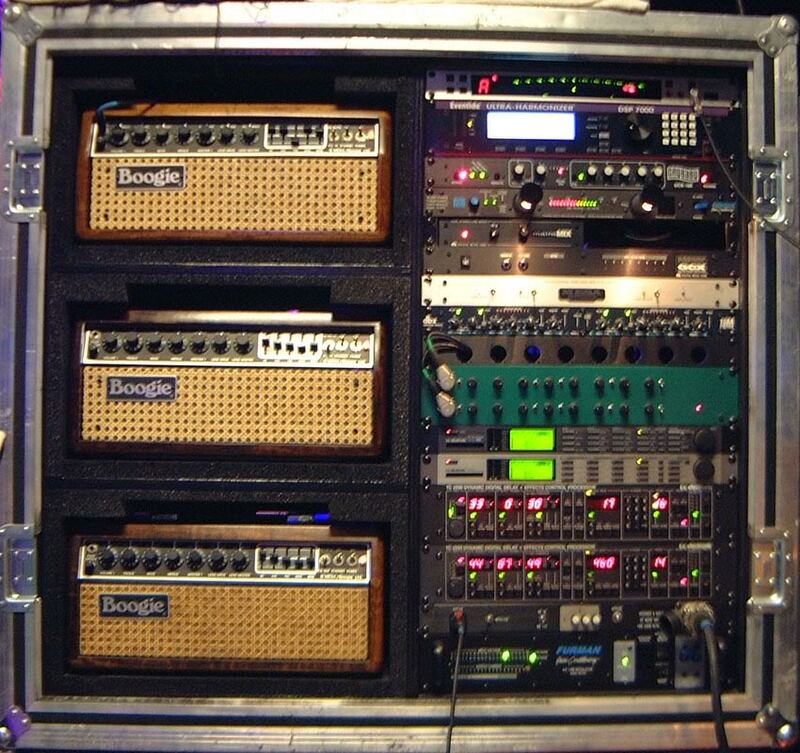 This is a picture of the rack John used for the 2002 World Tourbulence tour. Among the various units there's Korg DTR-1 rackmount tuner (first from top to bottom). Confirmation of this being John's rack can be found in [this diagram from *Guitar Geek*](http://www.guitargeek.com/john-petrucci-dream-theater-guitar-rig-and-gear-setup-2002/) and [at :15s in this video](http://youtu.be/4yUUCRJGdko). [This](http://www.guitargeek.com/dimebag-darrell-pantera-guitar-rig-and-gear-setup-2000/) rig diagram of Dimebag Darrell's Pantera stage setup, which traces the signal flow of the equipment in his 2000 guitar rig, includes a Korg DTR-1. At 2:33 of this "Rig Rundown" with *Premier Guitar*, Warren Haynes' guitar tech, Brian Farmer says "Of course, we love using the Korg LDTR-1 tuner." According to the website thewho.net, John used this item as a part of his rig between 1996 and 1997. Billy Howerdel, of A Perfect Circle, used a Korg DTR-1 Digital Tuner, in 2004, according to [Guitar Geek](http://www.guitargeek.com/billy-howerdel-a-perfect-circle-guitar-rig-and-gear-setup-2004/). According to Guitar Geek's 2004 rig diagram, Downing used the Korg DTR-1 digital tuner. This older Korg rackmount tuner can be seen on various photos of his pedalboard. According to [this](http://www.guitargeek.com/jeff-hanneman-slayer-guitar-rig-and-gear-setup-2002/) Guitar Geek rig diagram, of Jeff's 2002 rig, he used a Korg DTR tuner. ¸According to Guitar Geek's 2006 rig diagram, Laiho uses the Korg DTR-1 Digital Tuner. This photo from langologitarok.blog.hu shows the late bassist and singer of Carnivore and Type O Negative Peter Steele performing live. To his right (our left) we get a glimpse at his rack gear and fourth unit from the top is the Korg DTR-1 Digital Rack Tuner. Mike's rack unit comes equipped with this Korg DTR-1 Digital Tuner. A detailed gear diagram of Joel Stroetzel's Killswitch Engage stage setup that traces the signal flow of the equipment in his 2005 guitar rig. As you can see he has a Korg DTR-1 Digital Tuner. According to Guitar Geek's rig diagram, Fluckey uses the Korg DTR-1 rack tuner. The second rack-mounted effect that Kaoru uses is a rack-mounted tuner by Korg. Taken from the Dir En Grey website. 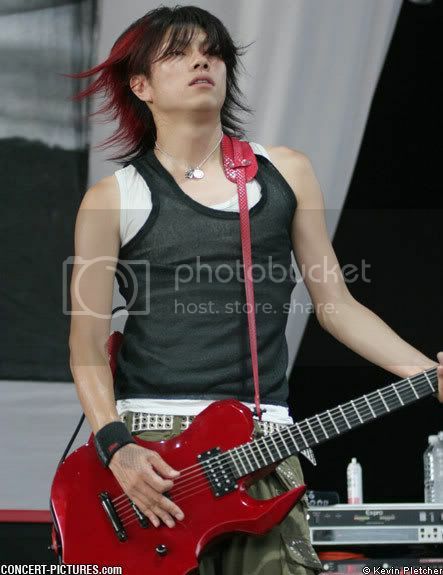 In this photo from concert-pictures.com of a live performance from Dir En Grey, we see the lead guitarist Die playing his ESP D-DR Guitar. Under his his Ex-Pro Wireless unit he has a KORG DTR-1 Digital Rack Tuner. This photo shows bass guitarist of Japanese rock sensation "Dir En Grey" performing live with an ESP D-TR 290 (RU-Drive) Bass. 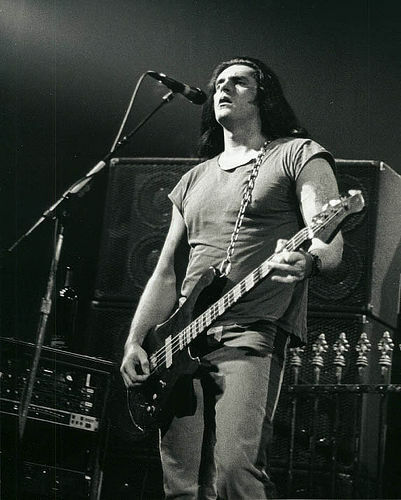 In the background, his live rig contains a KORG DTR-1 Digital Rack Tuner. This item is on the very top of the rack case. 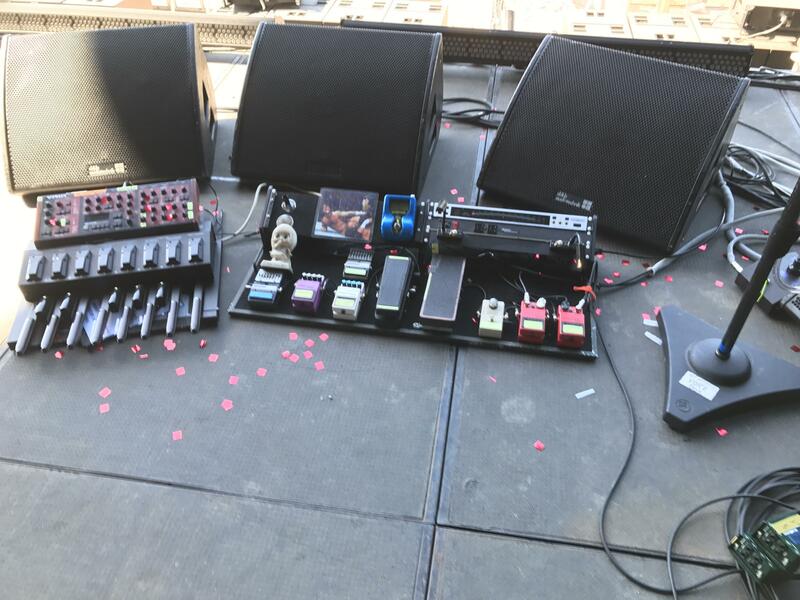 According to the Guitarthai website, Sugizo was also spotted using a Korg DTR-1 rackmount tuner in his rig. At 1:05 in the video, Akio can be seen using a Korg DTR-1 rackmount tuner for live performances. these are really good rack tuners that even the most myopic guitarist can use! every studio had one for a while. has a good buffer included too. Clear display and some cool extra features. It might be excessive now to dedicate a a full rack space to a tuner, but in the days before clip on tuners this was the way to do it (if you had a rack). As well as the oversize tuner display with 3 tuning modes (Hz, cent and strobe) this unit allows you to switch between two inputs and has a convenient cable tester built in to help diagnose problems on the fly. The only issue I've had over the years is that if you run it first in the signal path then engage a gain effect it gets a bit noisey, hopefully this is something Korg have sorted in the years since I got mine, so these days I run it in a rack between the gain effects and time based stuff where it appears to have zero effect on tone but does make the switchable inputs a little redundant. so 4 stars for this one. Did you ever try a ground lift?